There has been so much buzz surrounding the Glossier product line that I was excited to finally try the line for myself. The initial products to launch were the Balm Dotcom, Soothing Face Mist, Priming Moisturizer and the Perfecting Skin Tint. They have recently released two new masks to the range and as a huge mask lover, these are next on my list to try. 1. Priming Moisturizer (swatch shown below) - I don't know why I assumed this would be insanely thick, but I did. I thought it would be a rich cream designed for only the driest of skins, when in actuality it's a nice comfortable texture that feels delightful on my oily skin. It's designed to be worn under makeup (or more specifically the skin perfecting tint), and I enjoy it as a base before I put on my SPF and then foundation. It is incredibly hydrating and immediately calms my skin. It does leave a slight dewy finish so I do need a bit of a mattifying primer (love this one) in my t-zone to balance it out. And I've been testing it out for a few weeks and so far no breakouts - yay! 2. Balm Dotcom (swatch shown below) - I couldn't not love this one simply because I thought the name was so cute and clever. This is an intense skin salve that works to help address any extremely dry skin, or it can be used as a cure-all product for cuticles, lips, irritated patches, etc. I immediately loved it as a lip balm and have been wearing it almost every night as a treatment. It's one of those products that has multiple uses and will come in handy when I least expect it - and I love that. Having these kinds of products in my skincare stash is vital when you need a fix-it product fast. And the fact that the tube is so small and portable means that it will be going everywhere with me. 3. Soothing Face Mist - Another great face mist to add to my arsenal! 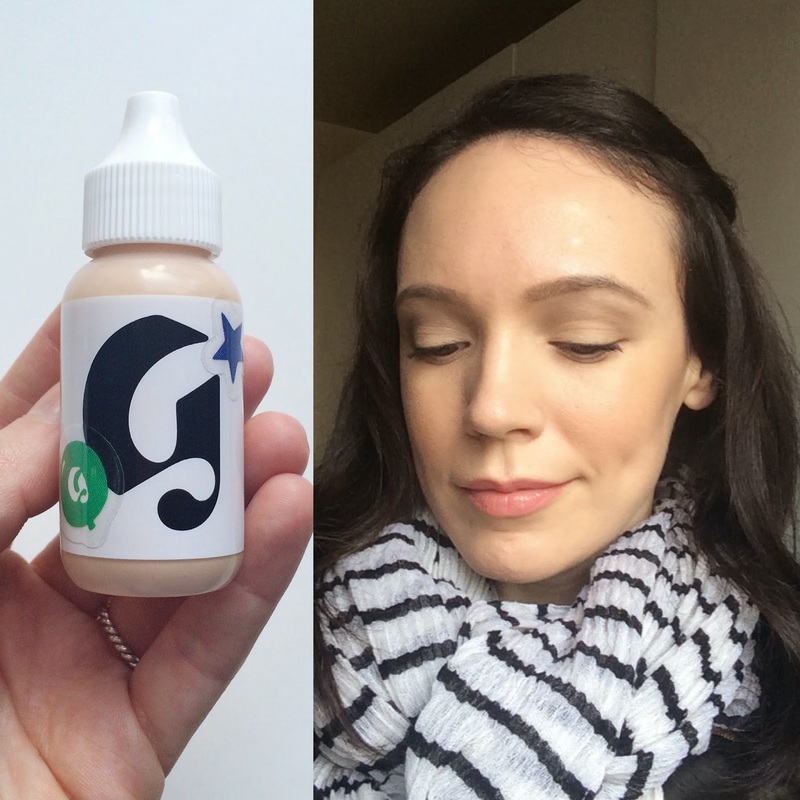 I love to mist (I'm sure we all know this by know) and this one from Glossier is absolutely heavenly. The nozzle dispenses the product so fine and gently (this makes a huge difference in my opinion) and immediately calms my skin. It delivers a good burst of hydration and skin feels soothed and relaxed after using. And that's why we mist, right? 4. Perfecting Skin Tint in Light -Welp, this came out of nowhere as the MVP of the bunch. I figured it would be too sheer, too shiny, not enough coverage - basically I was being a big Negative Nelly about it before I even tried it! Don't judge a perfecting skin tint by it's cover, ok?!!! (I need to learn this lesson more - I'm such a judgy pants with beauty stuff) As soon I applied this, it instantly smoothed out my skin and any redness I had disappeared! The color has a neutral undertone that matches perfectly with my skin and the coverage is quite significant for a product that feels so sheer to the touch. The final home run that sealed the deal was it's stunning natural skin finish. Not too shiny, not too matte - just healthy, beautiful and glowing skin. I did need to slightly powder after 4-5 hours, but nothing major and it stayed looking flawless for a good 6-7 hours. I suspect this may be on regular rotation come summer, so stay tuned! I've heard so much about Glossier lately that I'm really tempted to try some of their products out. Balm Dotcom sounds like just what my dry lips need right now, and also how can you resist a product with such a cute name? I've seen and heard so much about this brand and I really love how unique and quirky everything looks!